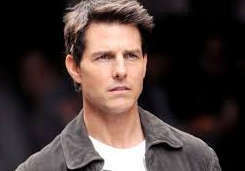 Tom Cruise a.k.a. Thomas Cruise Mapother is an affluent American actor and producer. He has won three Golden Globe Awards and got nominated thrice for Academy Awards. In 1981, at the age of 19, he started his career from the film Taps. Since then, he has not stopped yet. He is one of the most eminent personalities from the Hollywood, with zillions of followers. A birth chart (also known as kundli, janma kundali, or horoscope) is a map of heaven at the time of birth. Tom Cruise's birth chart will show you Tom Cruise's planetary positions, dasa, rasi chart, and zodiac sign etc. It will also allow you to open Tom Cruise's detailed horoscope in "AstroSage Cloud" for research and analysis.